Nissan’s Infiniti division has big plans in store for next month’s Detroit Motor Show. The company will introduce an updated Q50 available with three brand-new engines, it will unveil a coupe called Q60 that’s aimed right at the BMW 4 Series, and it will show the face-lifted QX60 crossover. 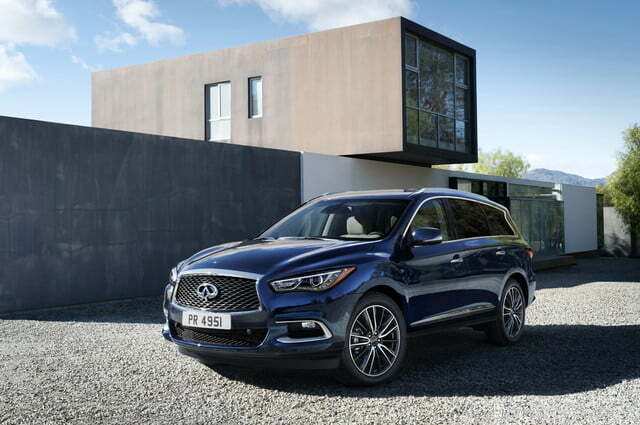 Up front, the three-year-old QX60 gets a much sharper look accented by new headlights that are longer and thinner than the ones found on the current model, a bolder grille with mesh inserts, and a new lower bumper that gains a pair of C-shaped trim pieces. 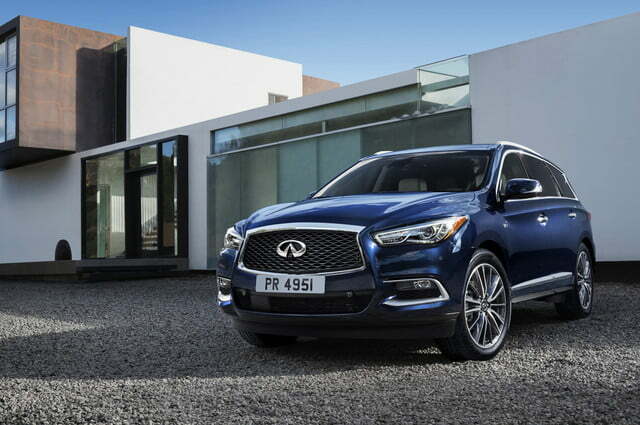 All told, the updates made to the front end bring the QX60 in line with other members of the Infiniti lineup including the Q50 and the Q70. As is often the case, the changes out back are largely limited to new-look tail lamps and a revised bumper, though careful observers will also notice the trunk lid gains a thick slab of chrome trim that connects that lights. New alloy wheel designs and two additional paint colors called hagane blue and jade green, respectively, round out the exterior modifications for the 2016 model year. 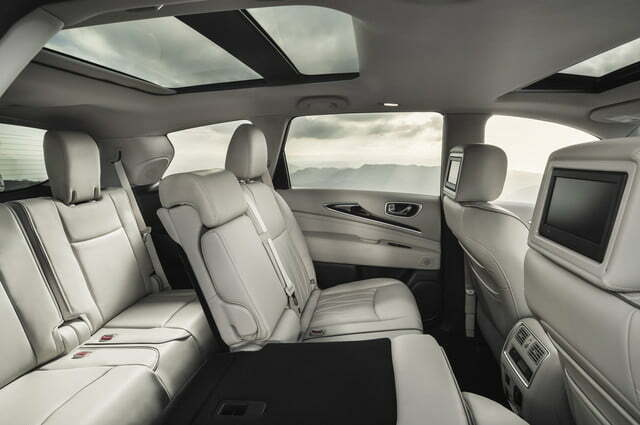 The posh, seven-seater cabin looks largely the same at first glance, but Infiniti points out it’s a lot quieter to ride in thanks to the use of acoustic side glass, extra sound-deadening material, and new motor mounts. 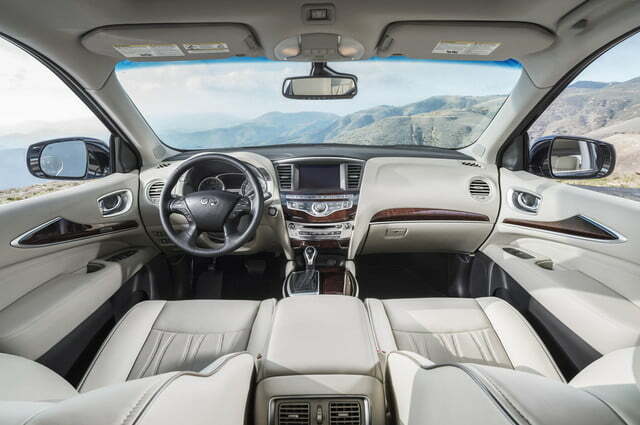 Soft-touch material on the dashboard creates a more luxurious ambiance, and buyers now benefit from a Personal Assistant feature that helps them with tasks such as making hotel and restaurant reservations, getting directions, and finding points of interest at the touch of a button, 24-hours a day. 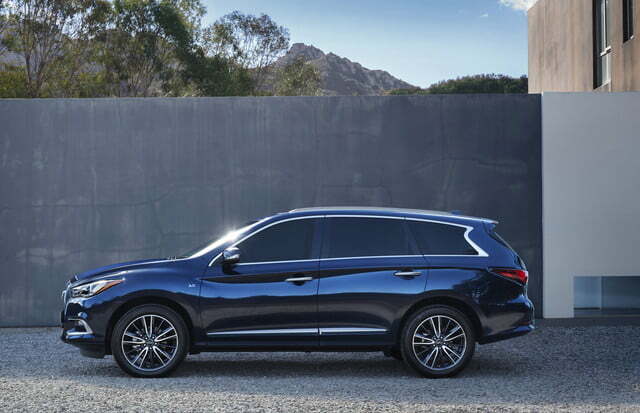 Infiniti just introduced a new, twin-turbocharged 3.0-liter V6 engine, but the QX60 carries on with a naturally-aspirated 3.5-liter V6 tuned to deliver 265 horsepower at 6,400 rpm and 248 pound-feet of torque at at 4,400 rpm. It’s bolted to a CVT transmission with a manual mode that lets the driver select pre-set shift points that mimic the gears in an automatic gearbox. 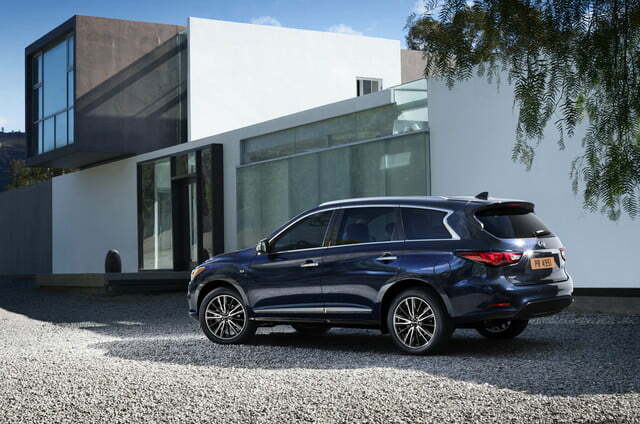 The QX60 is also offered with a hybrid powertrain made up of a supercharged 2.5-liter, four-cylinder engine and an electric motor hooked up to a lithium-ion battery pack. Together, the two power sources deliver 250 hp and 243 lb-ft. of torque. 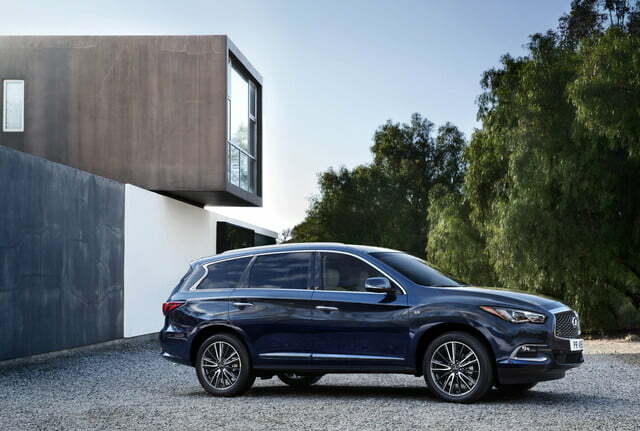 The 2016 Infiniti QX60 will land in showrooms later in 2016. Pricing information and performance specifications will be published in the weeks leading up to its on-sale date.